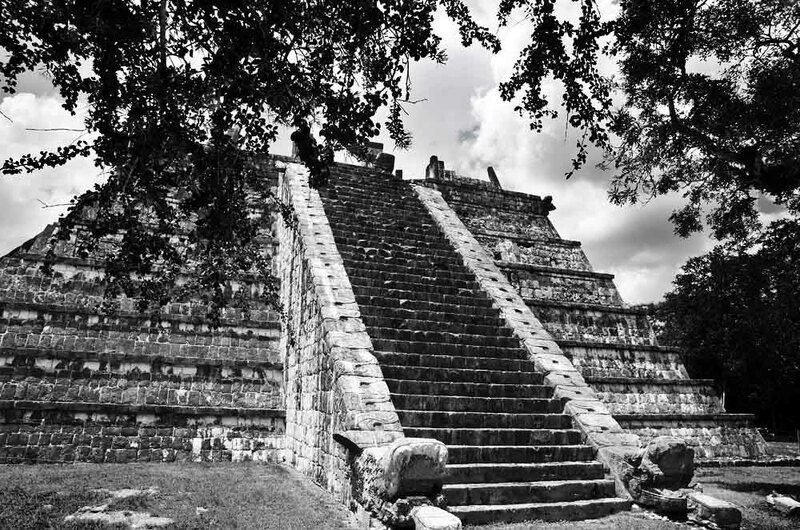 This ancient Toltec-Maya pyramid looks like a great temple but in fact is a high priests tomb! Our travel club just returned from a great adventure along Mexico’s Yucatan Peninsula. We explored the famous Mayan temples and ruins of Chichen Itza, Tulum, & Coba! The architectural achievements these cultures were able to create with no advanced engineering and technology is truly remarkable. This photograph was taken at the main site of Chichen Itza. It’s often mistaken for the famous “Castle” temple nearby but is in fact a high priests tomb from the Toltec-Mayan Era between 900-1100 AD. Don’t miss our next group tour to Chichen Itza, Mexico! Loved Chichen Itza when I went there as a kid some 20 odd years ago. So glad I got to climb the ruins when I did! What a great picture of the Mayan ruins. It really captures the essence. Thank you for sharing!